This week's photographer is the proprietor of the excellent Daily Dose of Imagery, which deserves a spot in your bookmarks. Here are Sam's comments on the featured image. 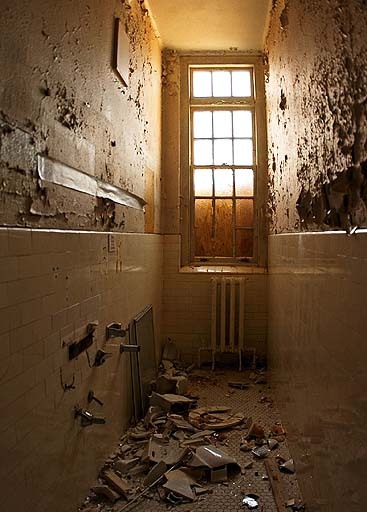 "This is shot in one of many abandoned buildings that were part of Whitby's psychiatric facility in Whitby Ontario, Canada. This hospital has been vacant for more than 8 years and although it's challenging and dangerous to get inside the buildings, it's worth the effort since it offers surprising and rich visuals and textures." During a string of Fridays we featured a single work from a photographer, with a link to his or her online portfolio and a few words.